Busboys and Poets is a community gathering place. First established in 2005, Busboys and Poets was created by owner Anas “Andy” Shallal, an Iraqi-American artist, activist, and restaurateur. After opening the flagship location at 14th and V Streets NW in Washington, DC, the neighboring residents and the progressive community embraced Busboys, especially activists opposed to the Iraq War. 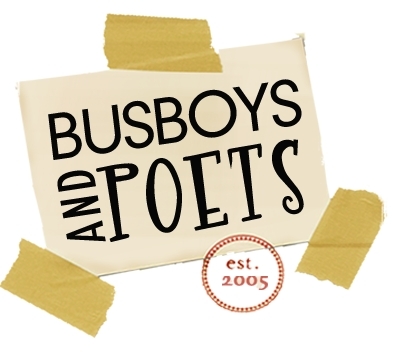 Busboys and Poets is now located in six distinctive neighborhoods in the Washington Metropolitan area and is a community resource for artists, activists, writers, thinkers, and dreamers. The name Busboys and Poets refers to American poet Langston Hughes, who worked as a busboy at the Wardman Park Hotel in the 1920s, prior to gaining recognition as a poet. Busboys and Poets is proud to be a Certified B Corporation. As Washington’s first progressive multi-issue think tank, the Institute for Policy Studies (IPS) has served as a policy and research resource for visionary social justice movements for over four decades—from the anti-war and civil rights movements in the 1960s to the peace and global justice movements of the last decade. Some of the greatest progressive minds of the 20th and 21st centuries have found a home at IPS, starting with the organization’s founders, Richard Barnet and Marcus Raskin. IPS scholars have included such luminaries as Arthur Waskow, Gar Alperovitz, Saul Landau, Bob Moses, Rita Mae Brown, Barbara Ehrenreich, Roger Wilkins and Orlando Letelier. Today the Institute’s work is organized into more than a dozen projects, reflecting our public scholars’ diverse areas of expertise. In practice, these projects collaborate strategically to pursue three overarching policy goals: peace, justice and the environment. We are grateful for these partners and all of our current supporters!